Sometimes I think about yoga and how it seems so hard. But then I’ll think of it again, and it seems so simple. Am I the one making it hard? When we afford ourselves time on our mat – our breathing may deepen and we sink into single pointed focus with ease. That is the nature of practice. We do it again and again and so that when we approach our mats, our somas understand what is expected of that time. But bringing yoga into the world can be harder. But that is the practice, no? My practice of bringing yoga off of the mat was fertilized by this video called Meditation 2.0. The idea of re-framing meditation was rich for me. And then…embarrassingly it started in the bathroom. I was sitting in the bathroom thinking about my day, grabbing my toothbrush and putting toothpaste on it, reading a magazine, even grabbing lotion and lotioning…all while on the toilet. Then I started to notice that I had a hard time BEING present in lots of times and places. Thus began my journey of bringing yoga off of the mat and into my VERY REAL WORLD. And here are the questions I began to ask? Can I be present in a conversation – not thinking about what to say next? Can I prepare a meal enjoying the sensory process instead of just getting it onto the table? Can I play a card game with my daughter and simply enjoy the game and her company? Can I be in a traffic jam and not get attached to how challenging it is? Can I sit outside and notice spring unfurling, not checking my phone 50 times? Can I look in my partner’s eyes as he asks for a hug and be present in that moment of intimacy? Can I step away from my writing and refocus on a family member’s need without annoyance? Can I sweep the sidewalk and notice how satisfying the work of daily living is? Can I fold laundry and notice how satisfying the warmth and how nice clean clothes smell? Any activity can be a moment of presence. An opportunity to bring the practice of yoga off of your mat and into your world. Since I’ve been doing this practice, I notice more. I sense and feel more. I appreciate more. I am present in my life more. I am living my life more fully. And I’m grateful, so grateful sometimes that my eyes well up. This thing called life is beautiful – and we are called to do more than live it. We are called to be present in it. And that is both the most simple and most complex thing is it not? 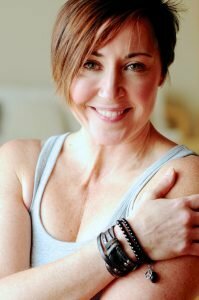 Sarah Turino is a graduate Yoga North’s 200HR & 500HR teacher training programs. You can find out more about Sarah here.